Click on "Company" to find your workspace settings. Here you can update your workspace name and logo. If you want to delete your workspace, contact us. In "Settings", you can change the title of the workspace, change the logo and delete the workspace. 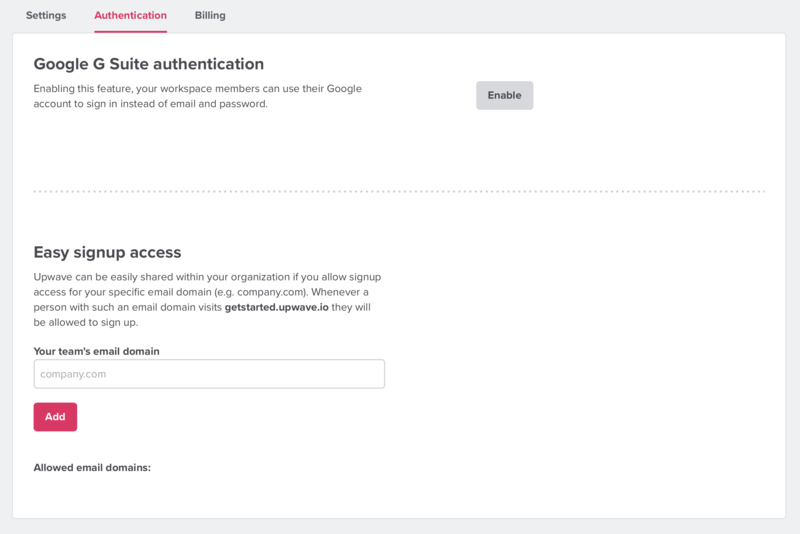 In "Authentication", you can enable Google G suite authentication for your workspace members or set up signup access for a specific email domain. 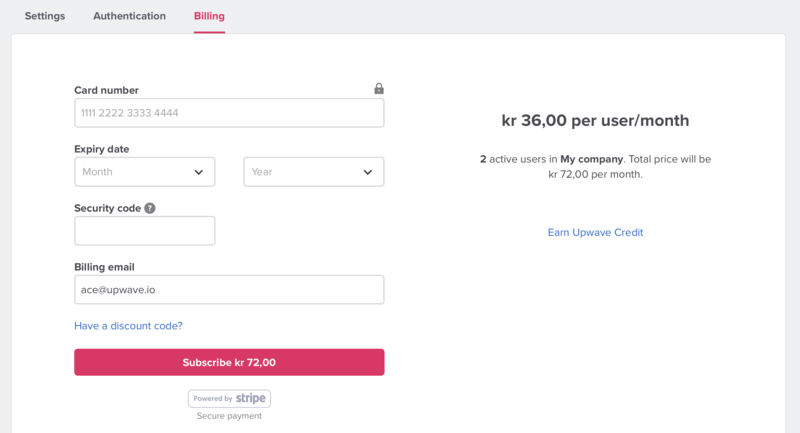 In "Billing", you can subscribe to a plan, change your credit card details and see previous transaction.